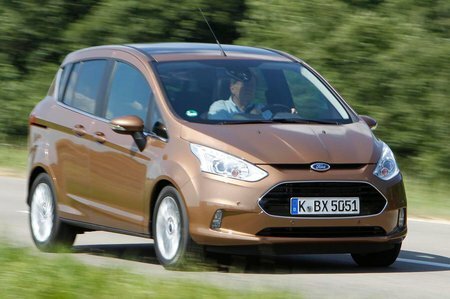 Ford B-Max Performance, Engine, Ride, Handling | What Car? 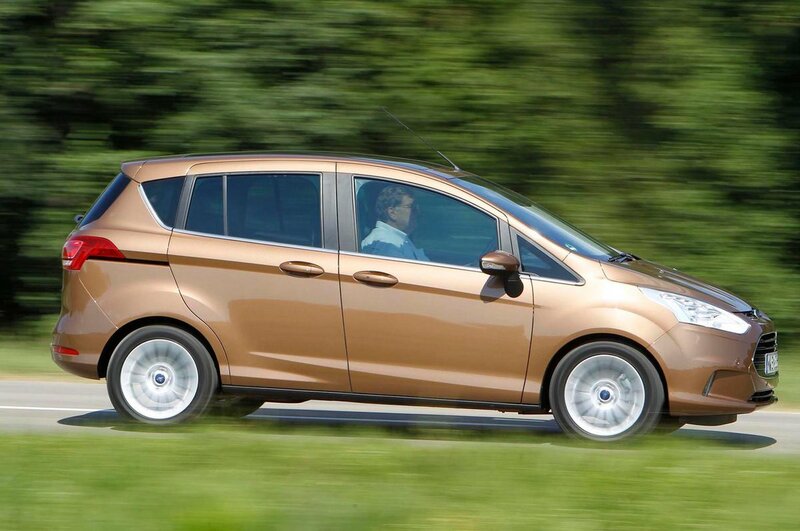 Ford is renowned for producing cars that ride and handle well, and the B-Max is no exception. It handles impressively well for an MPV because body lean in corners is kept to a minimum, and there’s plenty of grip available. The steering is accurate, too. However, its top trump is its ride, which, despite being on the firmer side of comfortable, deals effectively with speed humps and smaller road imperfections. There are six engines to choose from, including two versions of the 1.0-litre three-cylinder Ecoboost engine, one with 99bhp and the other with 123bhp. Our pick of the bunch for private buyers is the more powerful unit. It packs enough low-down shove to move the B-Max along well, aided by a slick five-speed gearbox, and, although it can be a little vocal, its three-cylinder thrum is at least distinctive. The 89bhp 1.4-litre four-cylinder petrol engine offers less power and poorer fuel economy and CO2 emissions than the Ecoboost engines, so seems to make little sense. The more powerful 1.6-litre engine above that is only available with the six-speed Powershift automatic gearbox and, though it’s fairly smooth and reasonably quick, CO2 emissions are the highest of all the cars in the B-Max range. There are two versions of the 1.5-litre diesel engine, a 75PS version and a 95PS, both of which offer CO2 emissions that drop below 100g/km. However, the less powerful version is lacking in puff, and both engines can be noisy, especially on the motorway where the lack of a sixth gear means they never quite settle down to a quiet cruise. That engine noise aside, the B-Max is mostly refined, with very little wind noise intruding, although some road noise makes itself evident on rougher surfaces.